Re: watzit? 2c+? mark3 prorotype? Another weird one! Everything to my layman eye says Mark II other than that Rhy. 2 jack on the underside! Looks like the earlier circuit board style, face plate, rear plate, etc. Looking forward to what the experts have to say. The Mesa site has IIC+ production ending March of 1985 so this is obviously much later. One thing's for sure...it's due for power supply caps. Those are all original and can't possibly be in spec at this point. The chassis is dated 1985!! Get them changed before any of them decide to go supernova and spend a lot of your money. It would appear that you have a prototype that is a combination of a Mark III preamp board complete with fifth preamp tube socket, and the lack of a labelledRhythm 2 pull switch on the middle control. That is definitely a Mark III preamp board, not any Mark II style. Note how wide it is and the lack of a PC board on the output tube sockets. Plus that fifth preamp tube is a dead giveaway...Mark III all the way. The control configuration is right for a Mark IIC+ but the chassis internals are nearly all Mark III. Your photos don't show the power transformer part number. Does that start with 105? It looks to me like this is an early Mark III that didn't get the Rhythm 2 silk screening added. 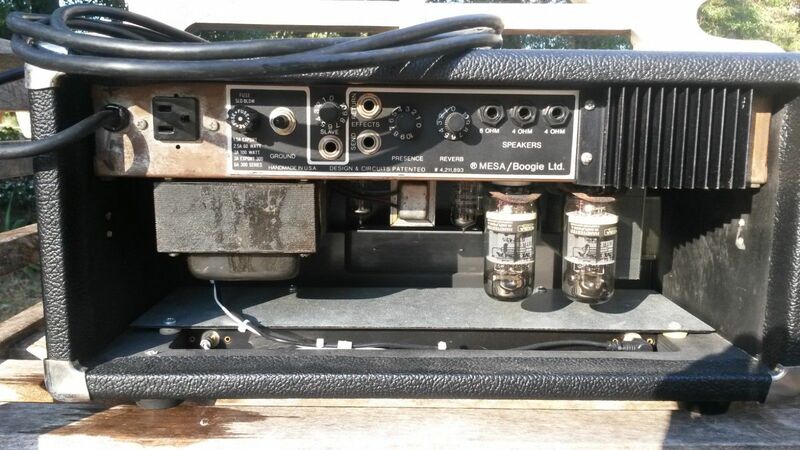 It's unusual but Mesa has allowed a fair number of developmental and unique amps to get out. Incidentally, that front panel alone, missing the Rhythm 2 added silkscreening, is fairly valuable all by itself. 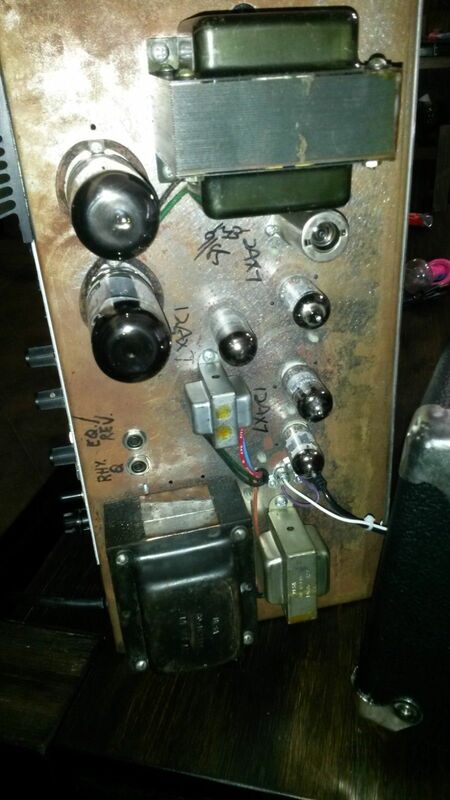 Somebody out there will pay good money to get that part for a Mark IIC+ restoration. The last time a front panel like that sold on ebay it went for well over 500 dollars. But it was also a mint condition spare that had never been installed on an amp. Really early Mark III. Could be a development board? They developed out of the IIC+/++. It should say CP1D if it's a Black Stripe board though. Would be great for some more detailed pics of the board to check component values are the same as an early Black Stripe III. All early IIIs had IIC+ faceplates with the Rhythm 2 label put on afterwards. You could probably remove that on early IIIs easy enough. But yeah you have a IIC+ original faceplate which is cool and probably worth a fair bit of money, but the amp is a Mark III. Funny thing with that chassis date there were already tons of Mark IIIs at that point with the "production" style boards in them. There is most definitely a "+" over the power cord. It has a C+ face plate as well. 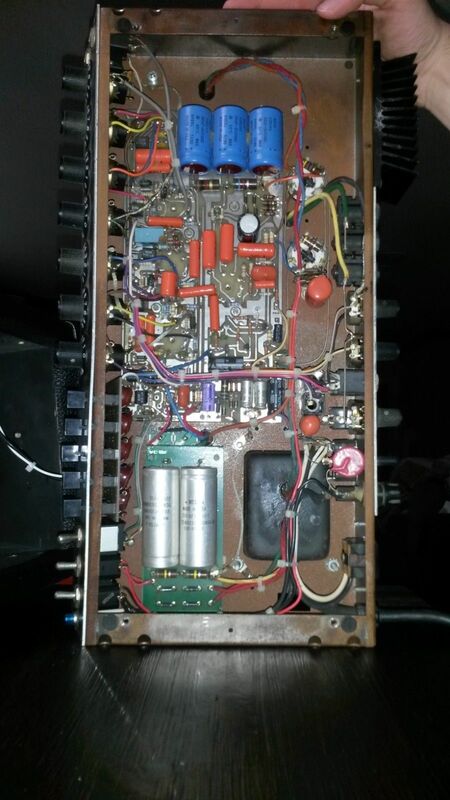 Looks like an SRG IIC+ (60w, Reverb, Graphic EQ) but I can't make out what model pre-amp board is in it. Maybe somebody wanted to upgrade their c+ to Mark lll. That preamp board is the Mark III preamp board. That's an early Mark III where the silkscreening for rhythm 2 hasn't been added yet. That's all. It's a Mark III. Just a very early one. We've already been over this. Here in this topic. woodbutcher65 wrote: That preamp board is the Mark III preamp board. I stand corrected your Lordship. Please accept this humble apology. You are clearly THE ONE, the god of knowledge about all things Mesa. Sarcasm noted. Not caring. 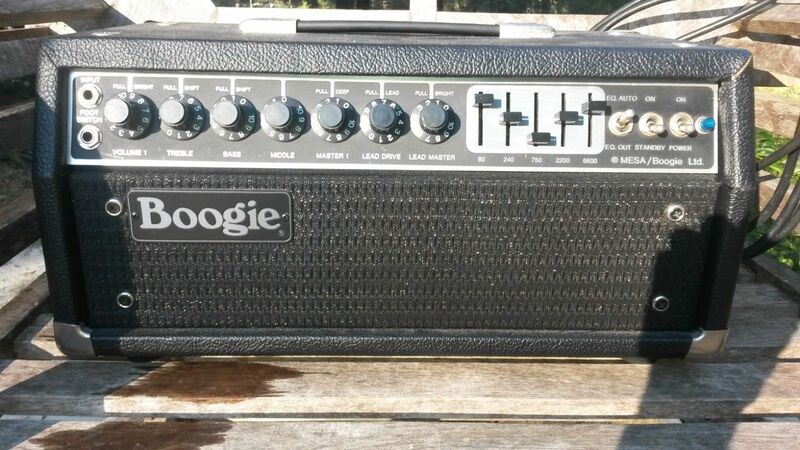 I can see for myself that this amp in question is a very close match for my own black dot Mark III. Aside from the lack of the rhythm 2 silkscreening added to the front panel, I'd be hard pressed to tell the difference between that one and mine, aside from the fact that the amp in question still features its original power supply capacitors. The Mark III preamp board can not be mistaken for any flavor of Mark I or Mark II preamp board plus there's that fifth preamp tube in the middle of the board, which is the dead giveaway for any Mark III chassis if you can't see inside the pan. It also has the rhythm 2 pull switch. The only thing missing is the silk screening for rhythm 2. Last edited by woodbutcher65 on Sat Feb 02, 2019 12:28 pm, edited 1 time in total. I’ll have to confirm this with Mike B. but I think it’s Mark lld. Nah. Mk III Black Stripe in a IIC+ chassis. No serial and dated 9/85 means it probably wasn't a development. There are loads of these sorts of amps in California apparently that shouldn't have left the factory but probably went home with workers at some point and sold on at a later stage or something. Oh Bring on the Mike IIB+ though!